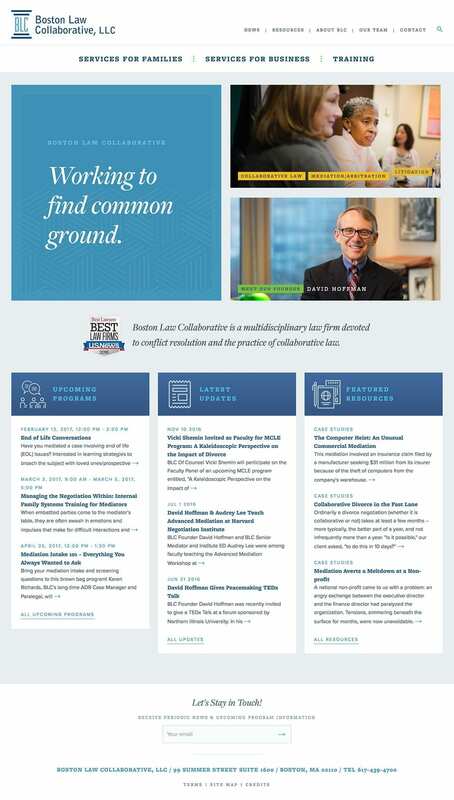 Boston Law Collaborative is a multidisciplinary law firm devoted to conflict resolution and the practice of collaborative law. They look for alternatives to litigation – the legal system’s traditional, adversarial method of dispute resolution. Pilotmade worked with Hairpin to develop a beautiful new WordPress website for client outreach and information.